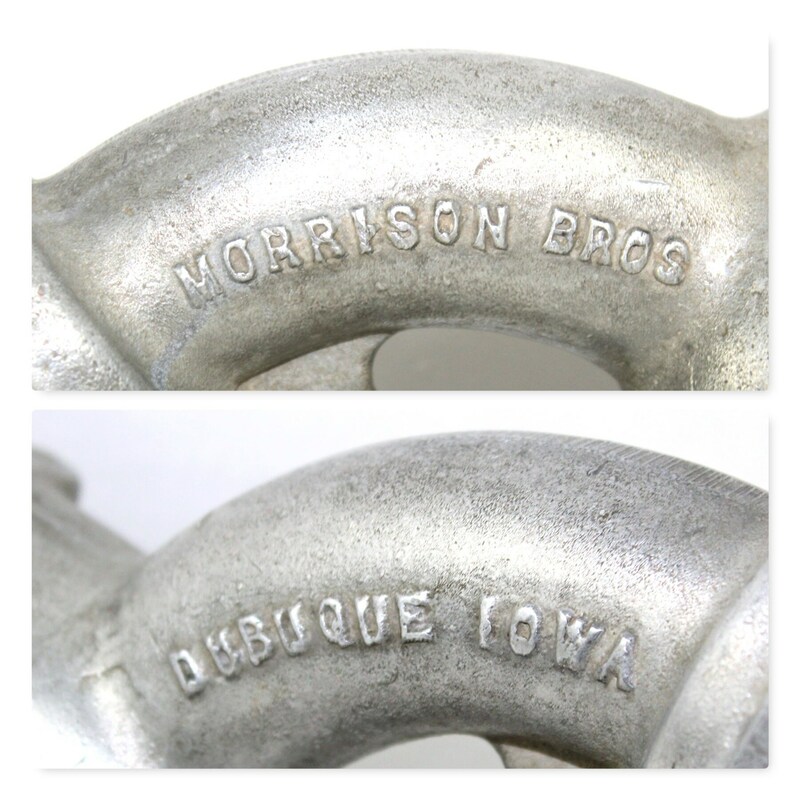 We have for sale Vintage Morrison Bros Gas Pump Nozzle. 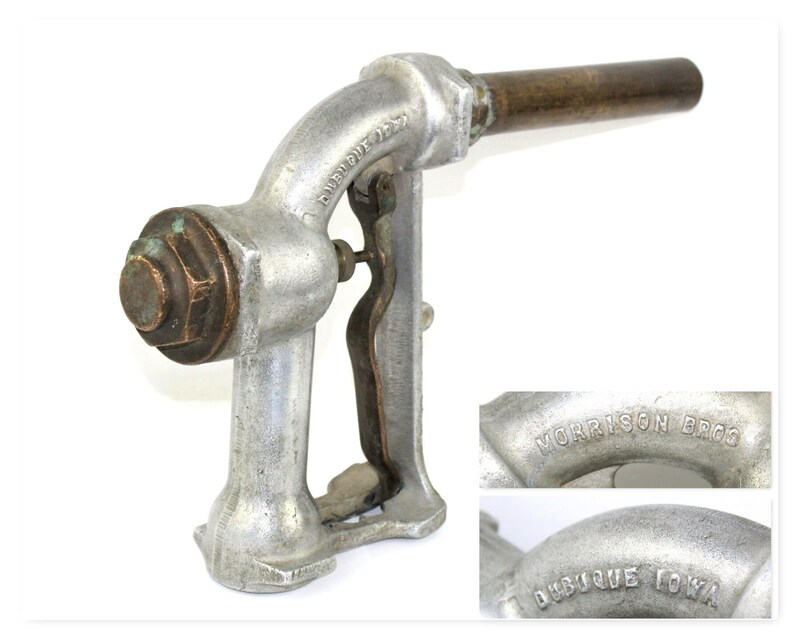 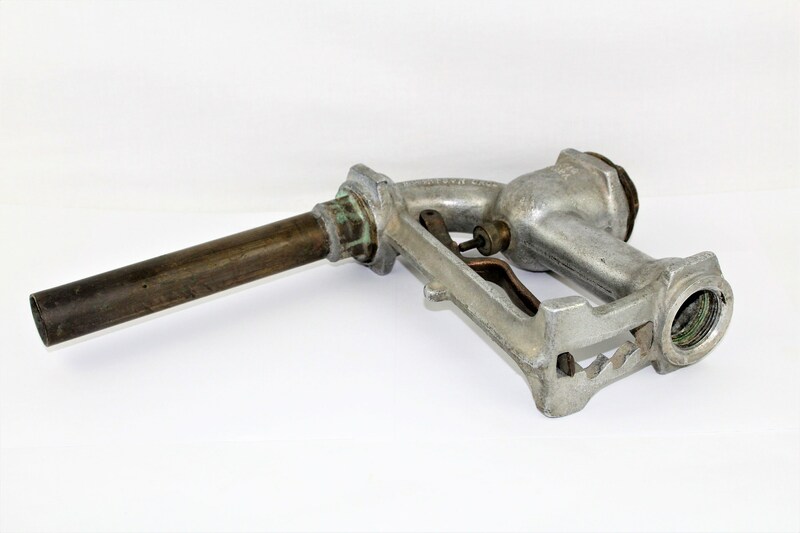 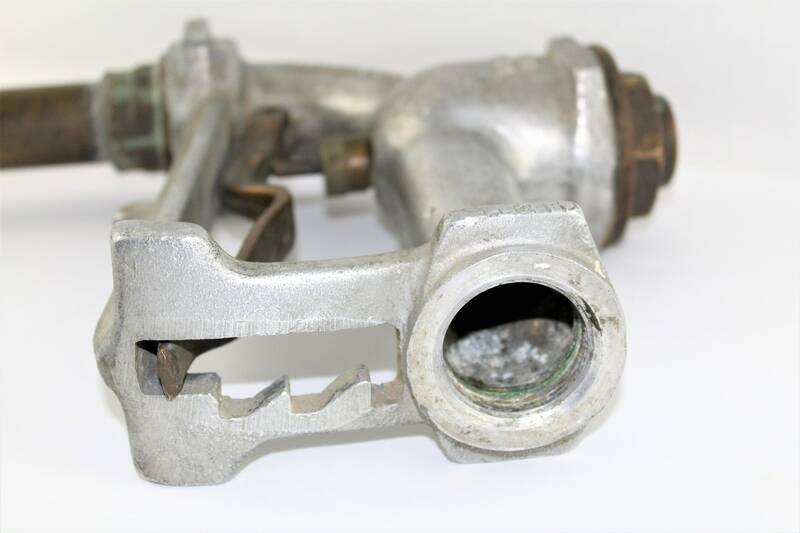 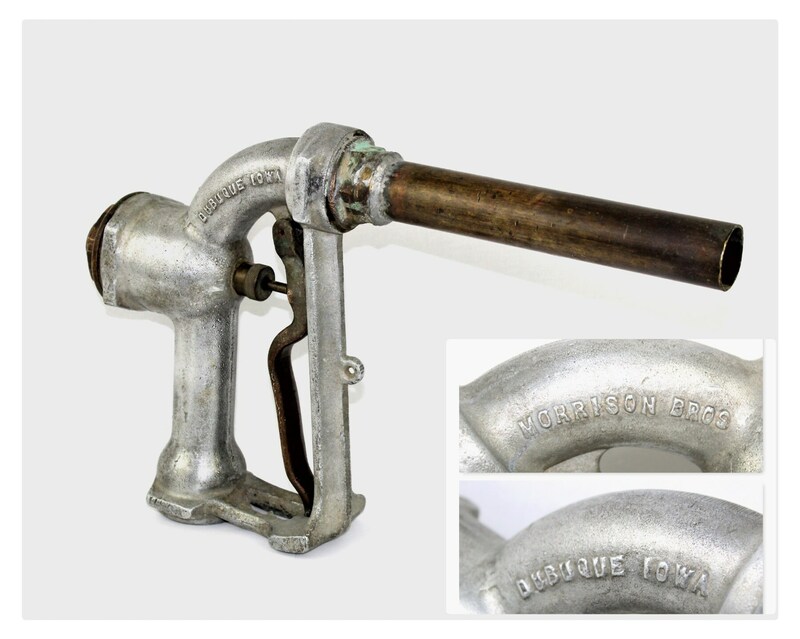 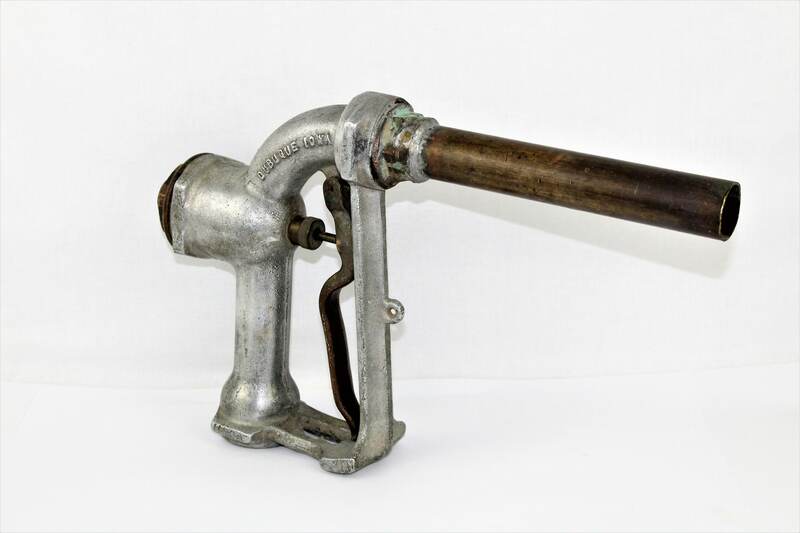 Large Industrial Fuel Pump Nozzle made by the Morrison Bros. Co. Dubuque Iowa, model FIG 232A. 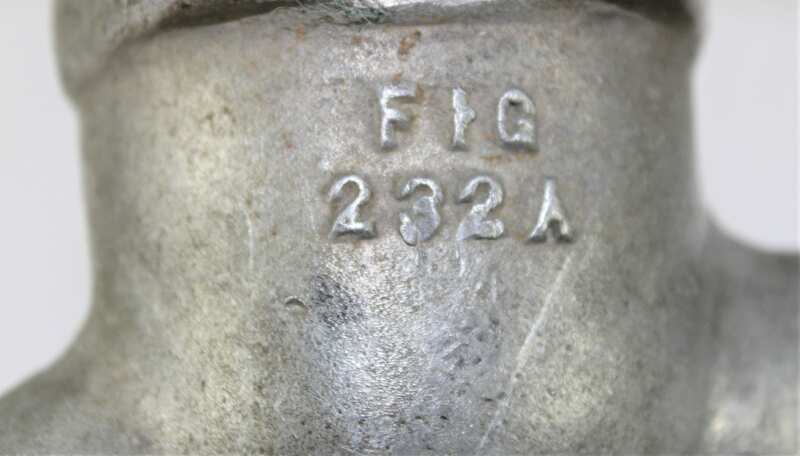 This was for large volume transfer of fuel like, fuel oil, diesel fuel, aviation fuel. 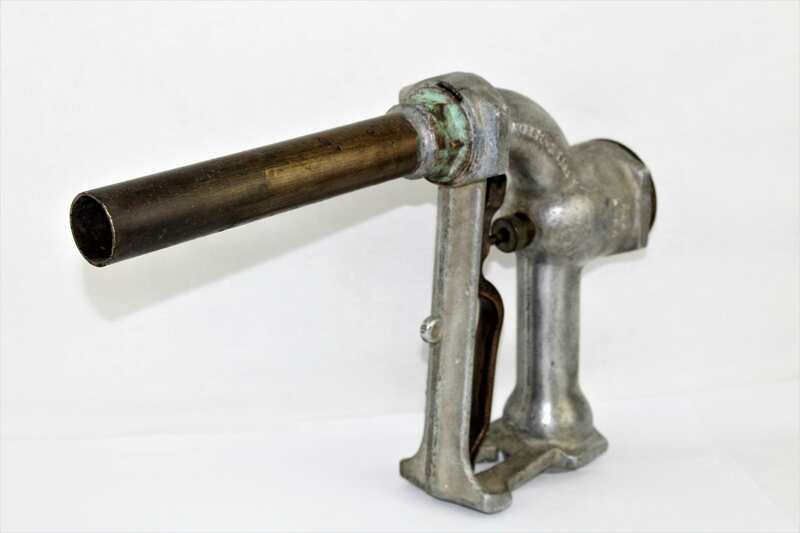 The nozzle is made from aluminum housing with brass spout, handle and large rear head bolt. 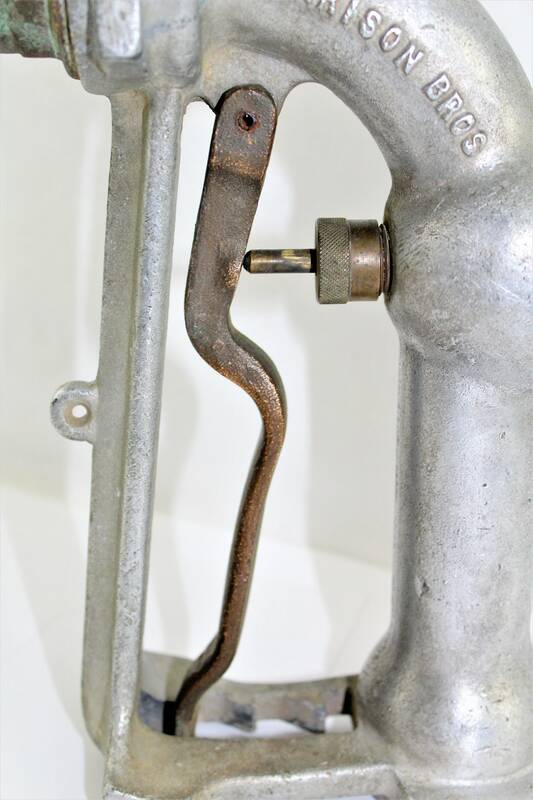 Overall condition is very good with normal scuffs and scratches from use the brass has a very nice natural patina. 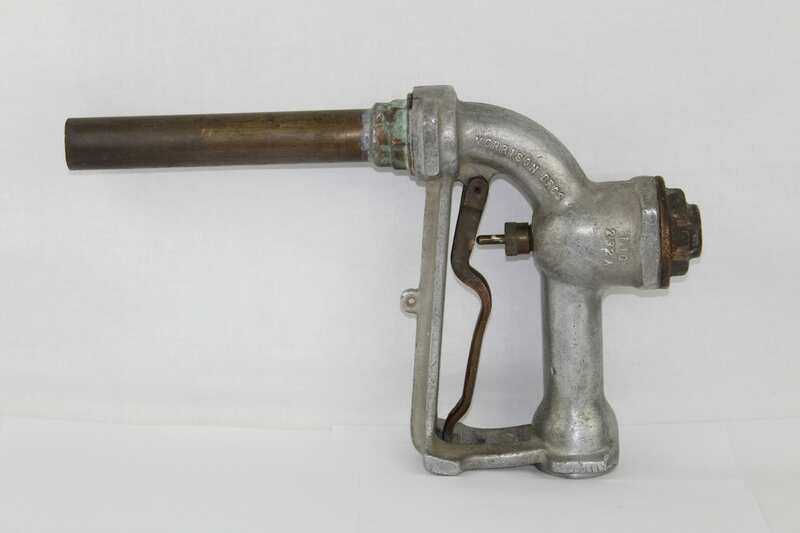 The nozzle has been cleaned and has No smell of gas it will make a wonderful display piece.